Named for the historic lighthouse, that's skeletal structure rests on the part of the reef that frequently protrudes above water, Sombrero Key Reef is worth the trip. The cost? 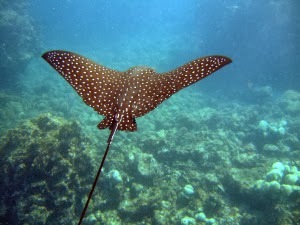 A potential sunburn and the fee of a boat trip, plus snorkeling gear. The reward? A nautical treasure, the likes of which no treasure hunter's gold or silver will ever compare. 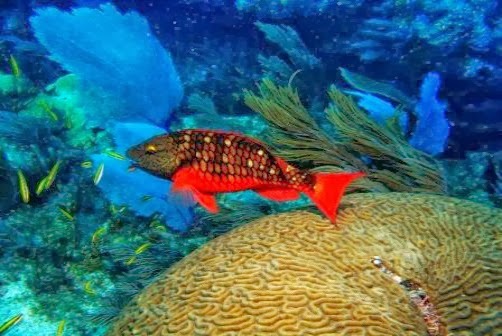 Sombrero Key Reef is part of the world’s third largest barrier reef*; it is heaven for snorkelers and divers alike. 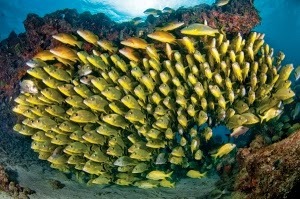 It is one of 14 marine protected areas that make up the National Marine Sanctuary System in the Florida Keys (2,900 sq. nm of waters). The light, Sombrero Key Light, marks and protects this national treasure.It sits 3.5 - 4 nautical miles seaward of Marathon, and, whether seeing the lighthouse from the car window while crossing the seven mile bridge or from the rail of a sail boat, it always evokes wonderful memories for me. In my youth, I would beg my father, during our Florida Keys summer vacations, to take me to Sombrero. If it wasn't too rough outside (meaning ocean side as opposed to gulf side), he would eventually cave into my pleading, even though the trip used a lot of precious boat fuel and most of a good afternoon. I've never tired of exploring it.Second only to tropical rain forests in the number of species they harbor, coral reefs are far more colorful and comfortable than a trek through most rain forests would be. Yet few take advantage of the opportunity. I suppose I should be grateful fewer people are descending upon its delicate structure. I choose, however, to think, the more we know, the more careful and protective we'll become of our true treasures. So… I'm putting Sombrero out there - 30 acres of coral reef, ranging from 2 to 30 feet in depth and teaming with more colorful characters than Rio during Carnival! It is a truly, magical experience. 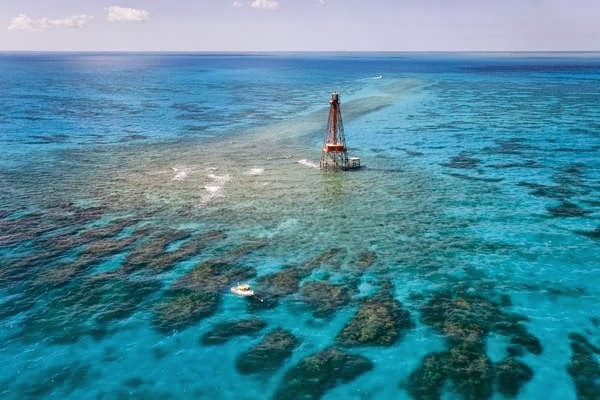 *The Florida Reef is the third largest coral barrier reef system in the world, after the Great Barrier Reef and Belize Barrier Reef, and extends from Fowey Rocks just east of Soldier Key (southeast of Miami) to just south of the Marquesas Keys about 30 miles (50 km) west of Key West. 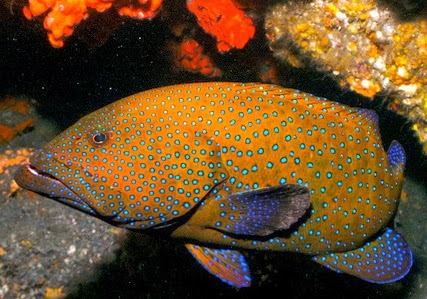 It is the only living coral barrier reef in the continental United States.